This is a story about a father. Mind you, not your typical Father’s Day story. This is about a man who knew his influence and used it to change the direction of his son’s life. It’s about a therapist who understood the importance of fathers, and who had the insight and willingness to do “whatever it takes” to change the life of a kid, a kid that most people thought was a lost cause. Juan was deeply entrenched in a gang, the son of a gang member and a high-ranking one, at that. He was on probation for stealing a car, but the trouble went much deeper. On the day he met his MST therapist, he had skipped school to sell drugs. He was rarely at home anymore, following his father into the “family business” and making his mark on the streets. Juan’s father was incarcerated and had been away for more than a year when Juan was arrested and put on probation. At 15, the gang was his family. It was his hobby, his social network and his source of income. The gang kept him connected to his dad in a very real way. His dad was running it from behind bars and was the single greatest influence in his son’s life. Juan’s mom was worried about the boy. She wanted him at home and didn’t want to lose him. She had lost her husband to the system and another son to the streets, but she did not know where to begin. The family’s MST therapist helped her set limits with Juan, and she began to enforce a curfew. She issued consequences if he didn’t go to school or didn’t come home on time. She met with the school and worked with his MST therapist to help ensure that the school was meeting his academic needs. Juan’s behaviors did improve. He came home every night, though not on time. He went to school about twice a week on average, which was an improvement. The problem was that he was still selling drugs, using and heavily involved in the gang. These were things that put him at highest risk for being re-arrested and placed away from his family. 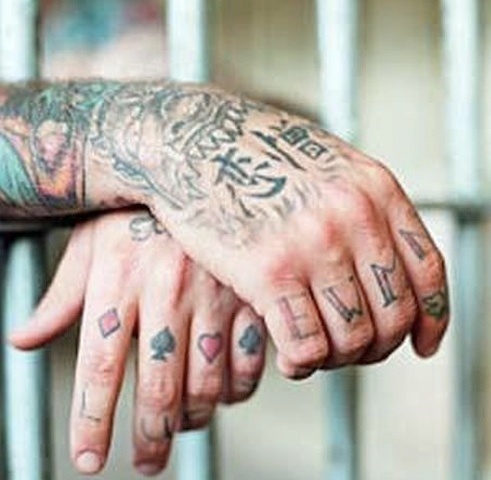 Incarceration was a rite of passage in the gang, and his therapist feared that a long-term placement would solidify his place in the gang and make it even more difficult to make progress in the future. Juan’s therapist knew what needed to be done. It needed to be done even if she’d never done it before and even if it took a lot of effort. Three weeks later, after filing multiple requests with the parole board and state, she met with Juan’s father face to face. To say that he was surprised was an understatement. He agreed to see her because he was intrigued. He didn’t get many visitors, and certainly, Juan had never had a therapist who cared enough to go through the trouble. Juan’s father didn’t know what to expect from this initial meeting. He was surprised that this “MST person” showed him such respect. On the inside, respect is all you have, and she seemed somehow to understand that. And help him, she did. After Juan’s father made his decision, things started to change. Juan missed very few days of school and completed 9th grade with the rest of his class. He came home before dark. While the members of his gang would always watch out for him, they didn’t ask him to do the same things he did before. Many fathers want the best for their children, for them to be safe and successful, and to live up to their potential. Not all fathers realize their influence, and even fewer are willing to sacrifice their own reputation so that their children can live a better life. That takes courage and vulnerability in equal parts. It takes a father who can see beyond himself and look to the possibilities that lie ahead. Juan’s father may not have lived the life of a model citizen—like most of us he made his mistakes—some that he will pay for dearly. But perhaps he sees that his greatest accomplishments are not in his rise to power or his leadership on the streets, but in his ability to influence his children and mold the next generation to reach for higher heights. There is a lesson to learn from a father like this. No matter your past mistakes as a parent, look to the future, see the bigger picture, and seek to use your influence to shape a good life for your children. To learn more about what makes MST an effective intervention for at-risk youth, download this white paper.